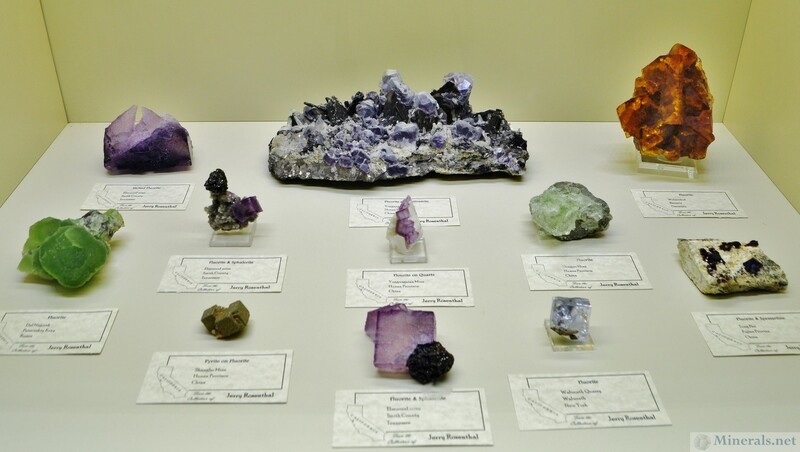 The Springfield Show, officially called the East Coast Gem, Mineral & Fossil Show, is held every year in the summer in a large hall in the Better Living Center at the Eastern States Exposition in West Springfield, Massachusetts. This year the show was held on August 8 through 10. 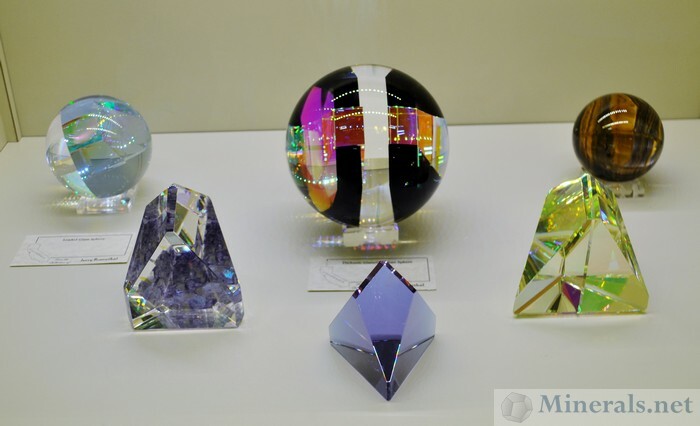 This is a great show, with many important dealers present, and some new material that I never saw before. 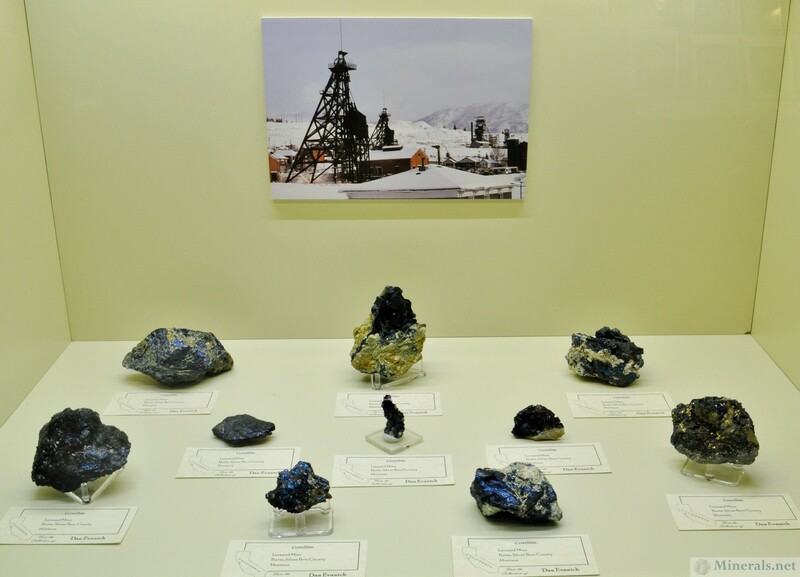 This show also has public exhibits, with top-notch collectors displaying their material to all the show-goers. 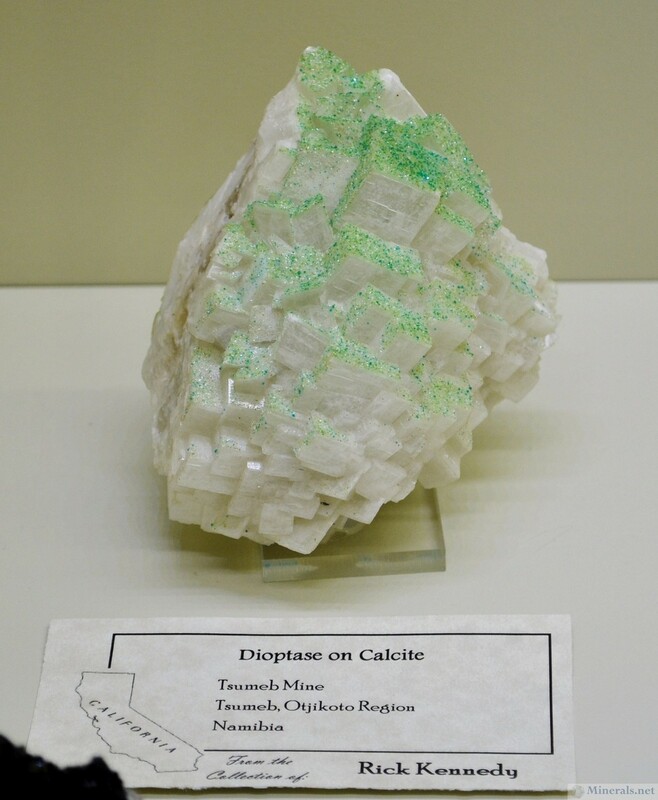 This year's special exhibit featured California collectors and collections. 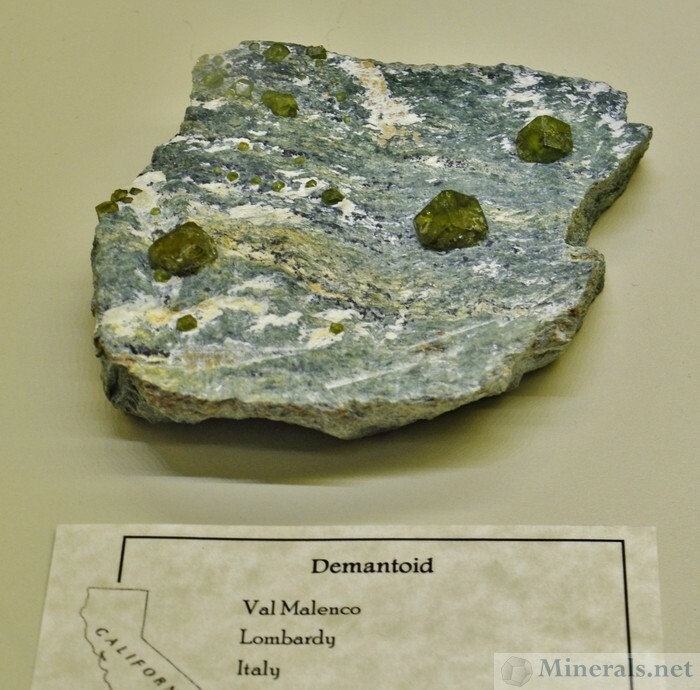 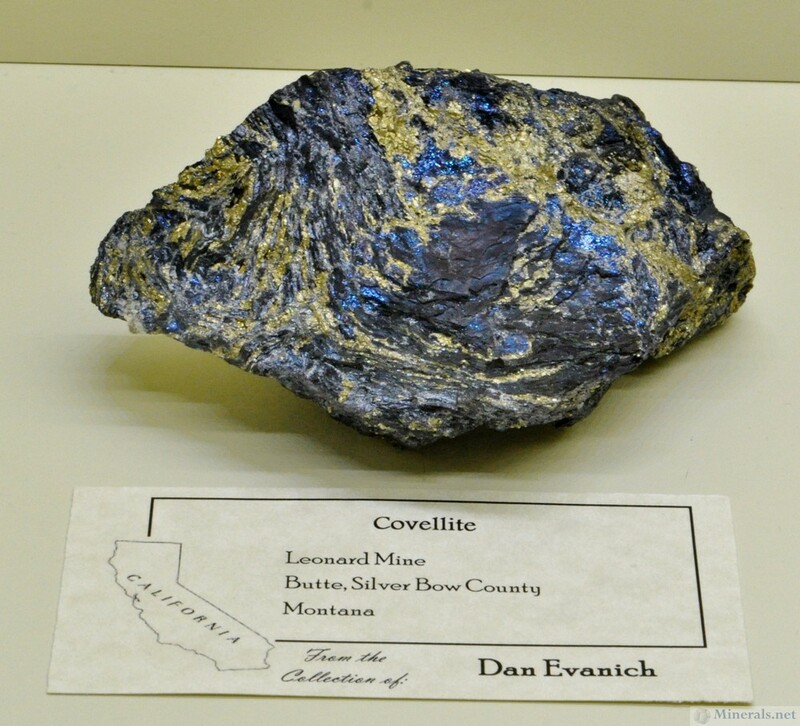 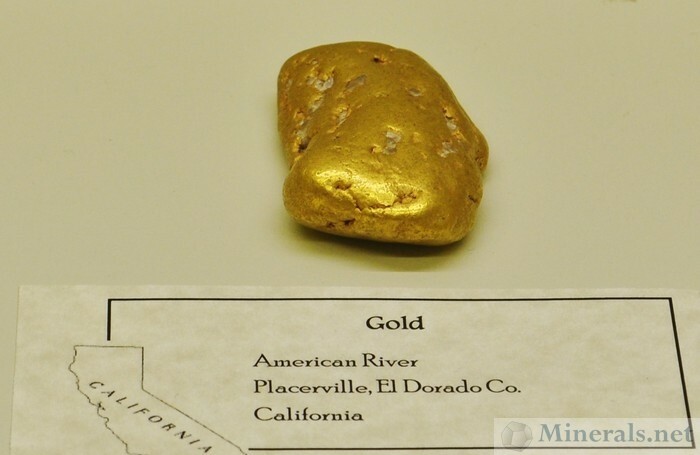 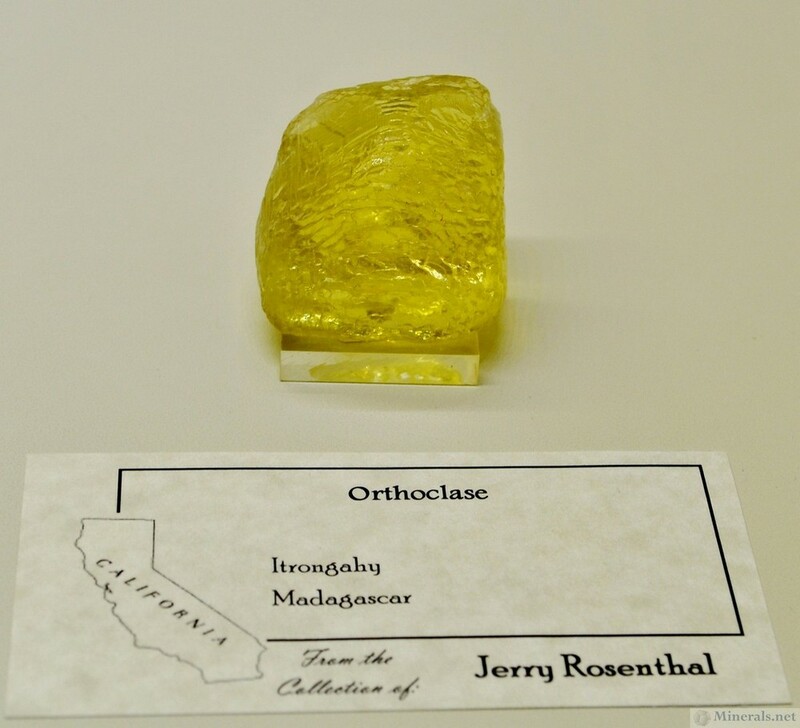 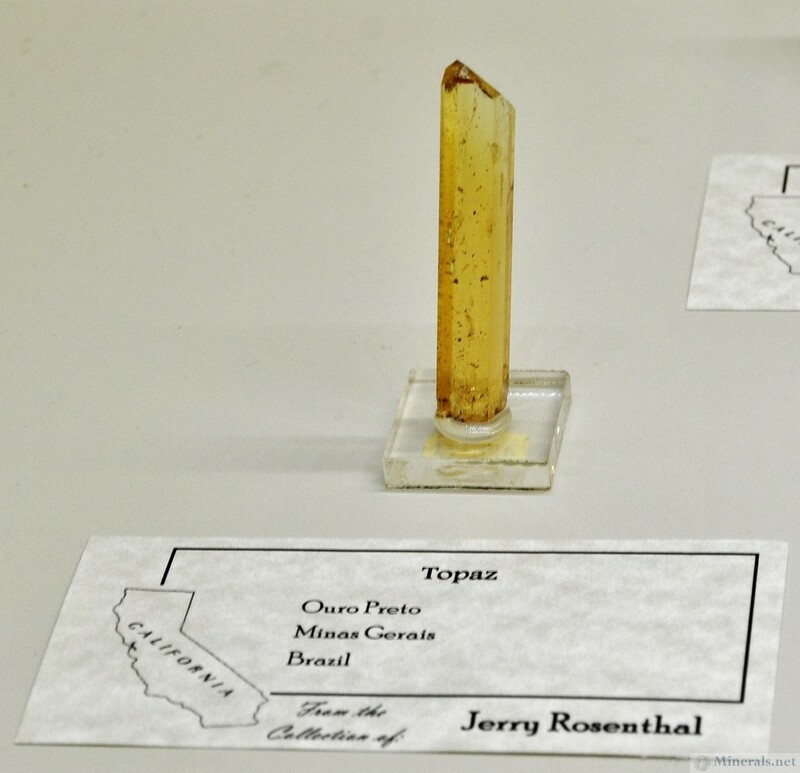 It featured some of the top minerals from nine prominent California collectors, and was coordinated by John Veevaert of Trinity Minerals. 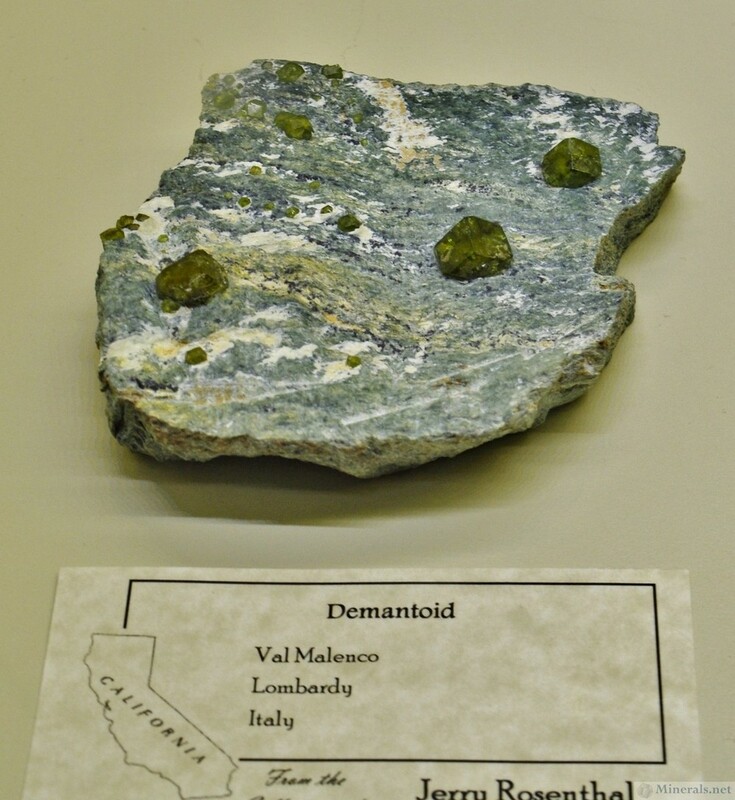 I grew up in the orchard country of San Jose that is now Silicon Valley. 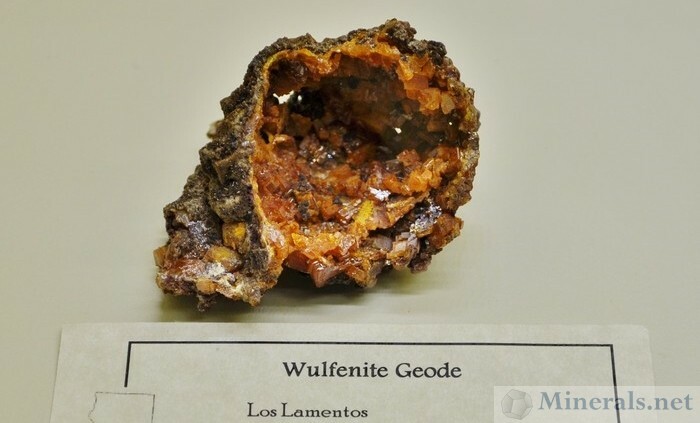 During my early years my interest was sparked by my grandfather who gave me a petrified wood domed limb cast. 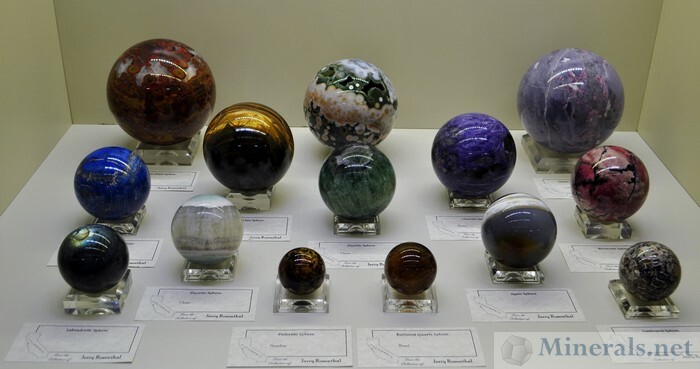 I was intrigued by the thought of wood turning into stone. 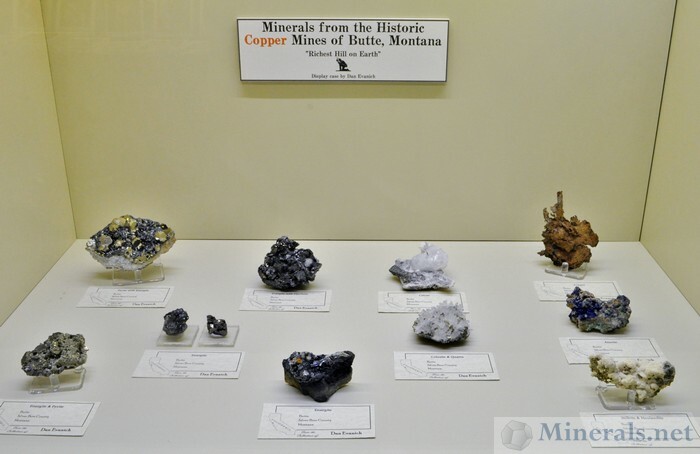 My collecting began in thw 1980s once I had some disposable income. 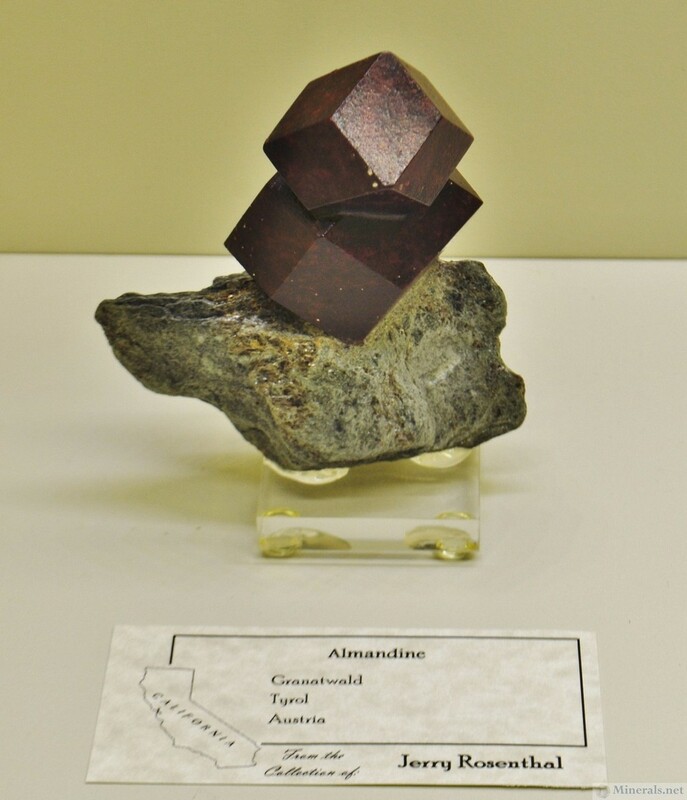 I had a deep fascination with lapidary tools and what you could do to rocks with them. 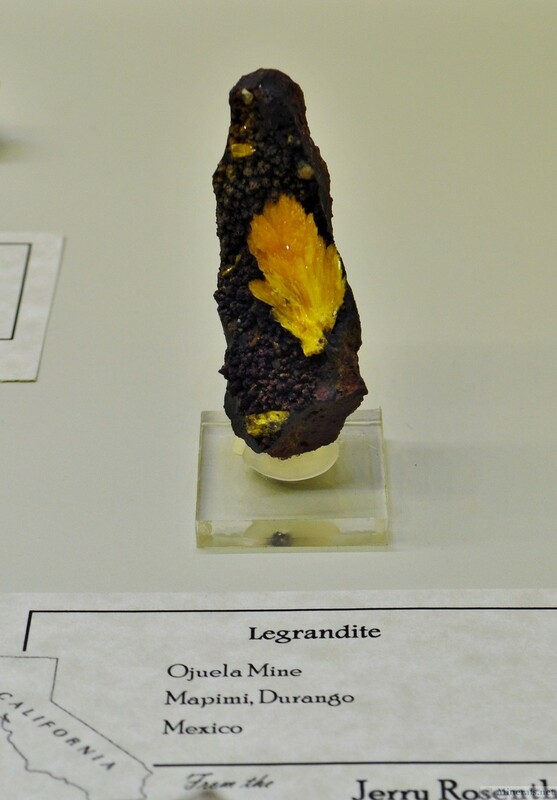 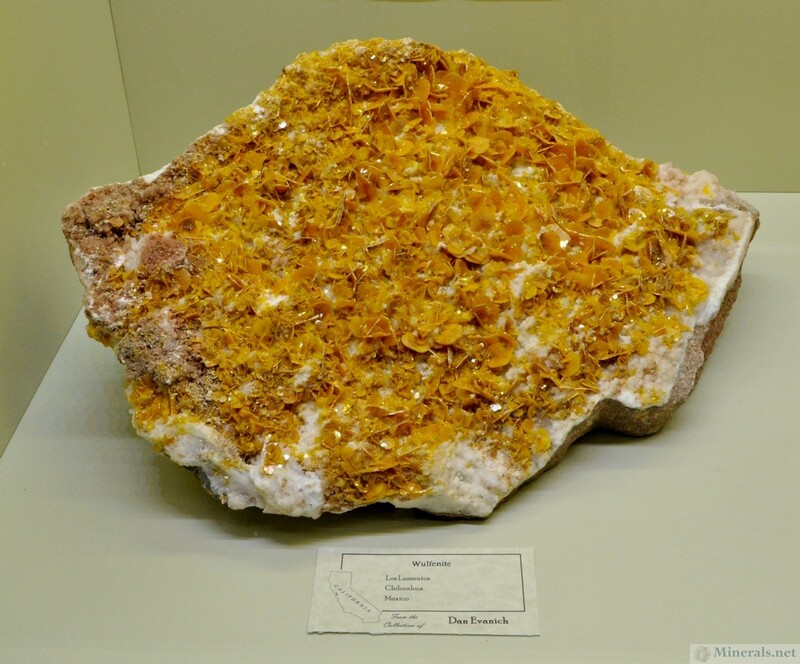 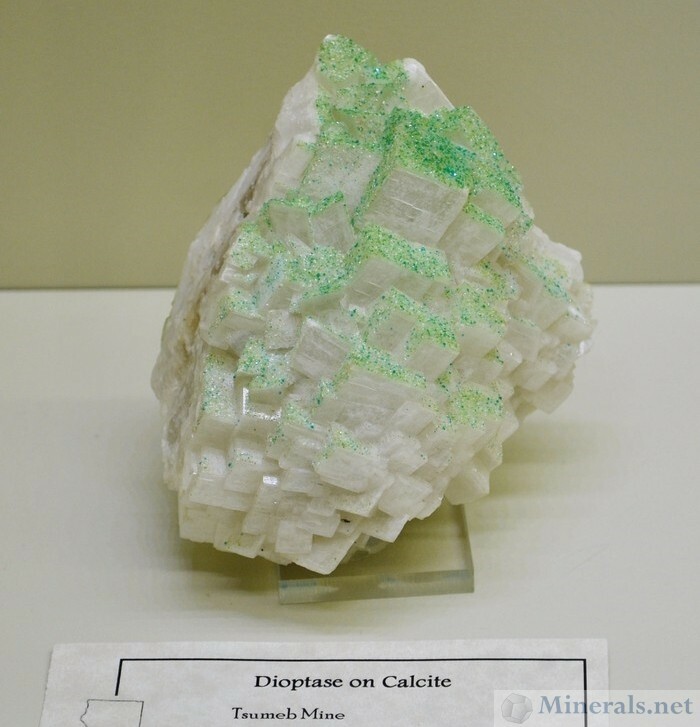 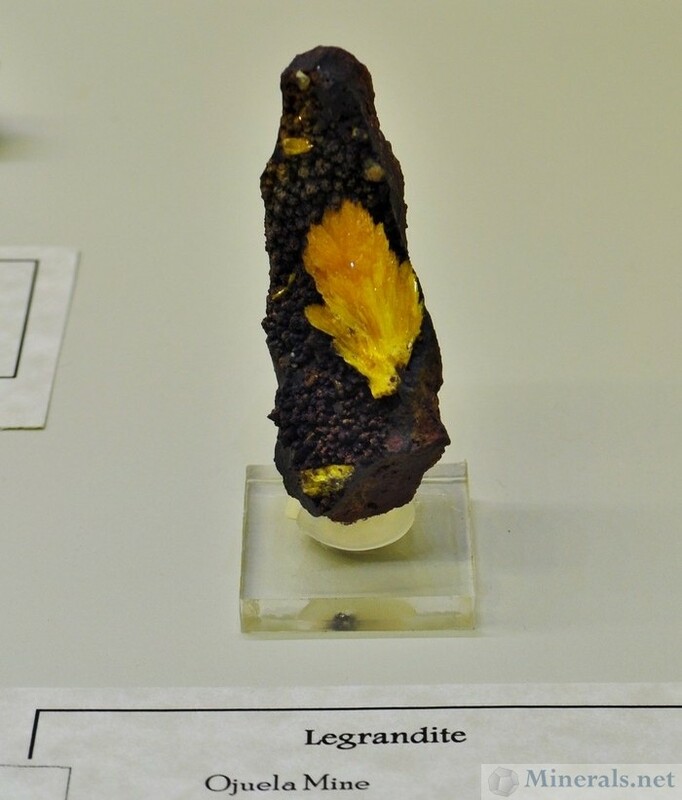 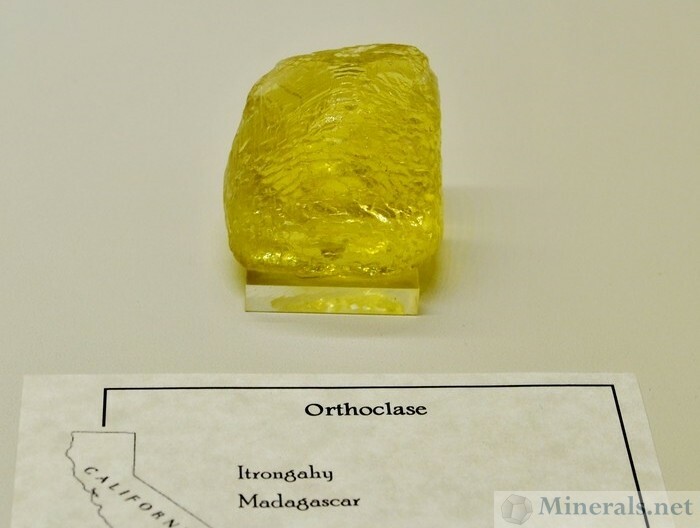 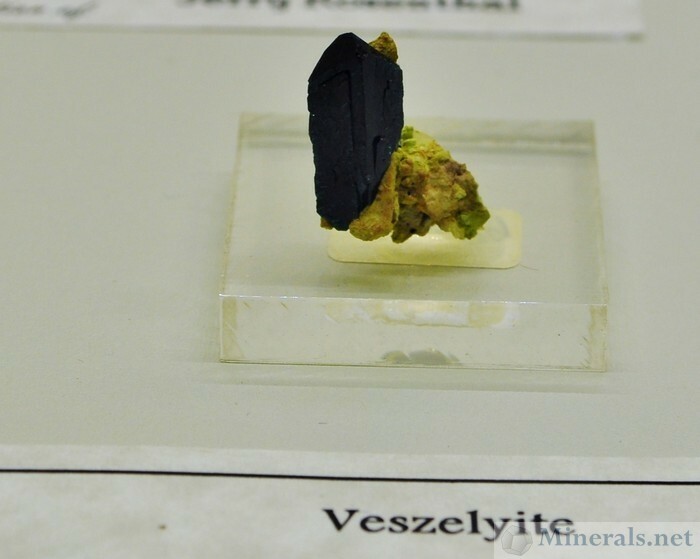 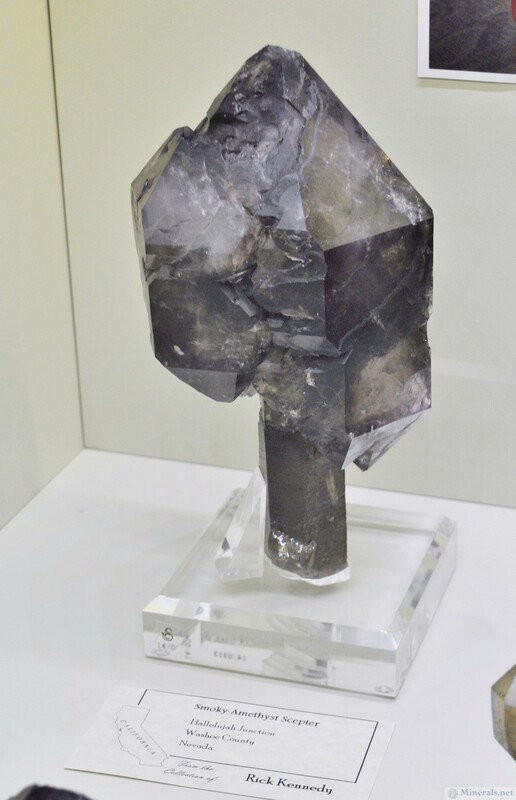 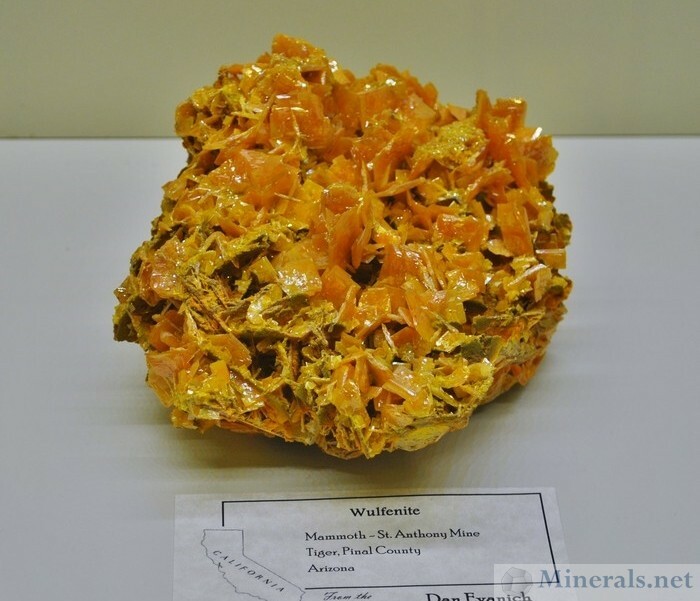 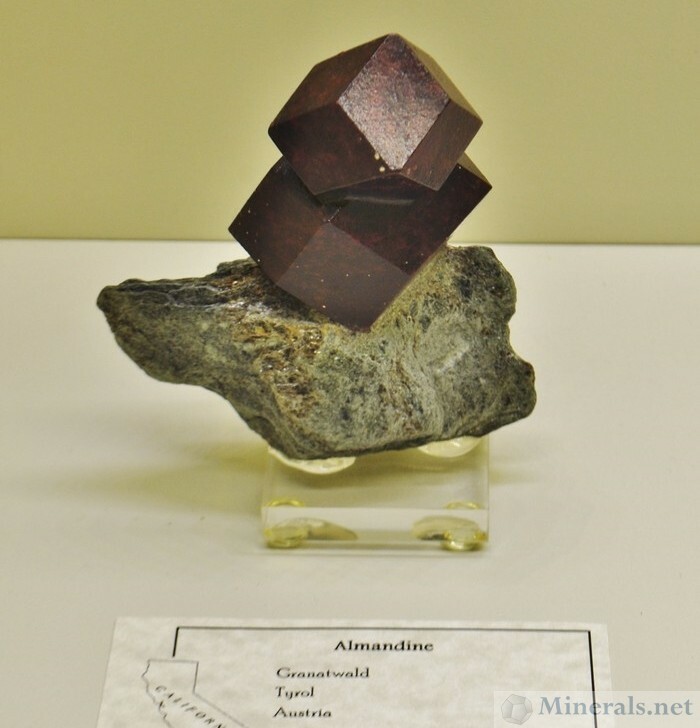 As I continued on my interest branched into actual mineral specimens. 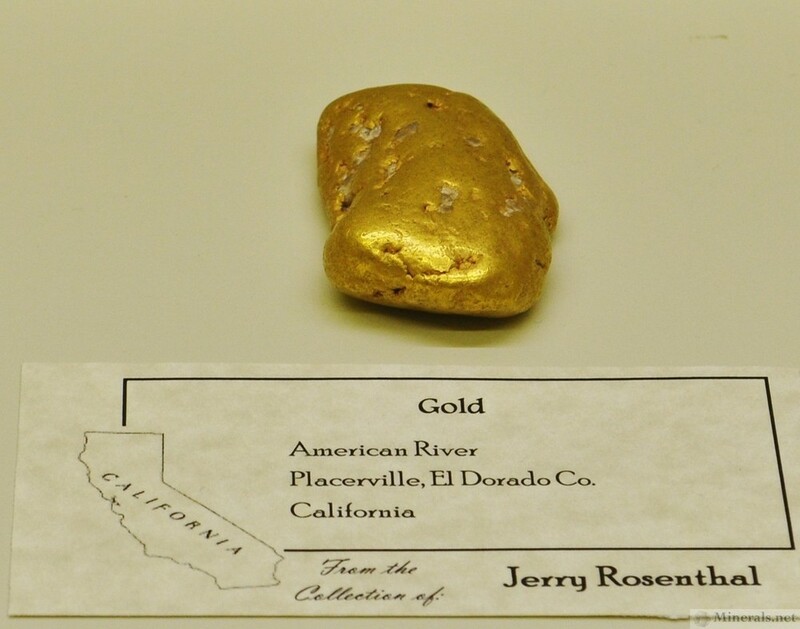 I met lots of dealers, diggers, collectors, prospectors, traders and more than a couple of con men. 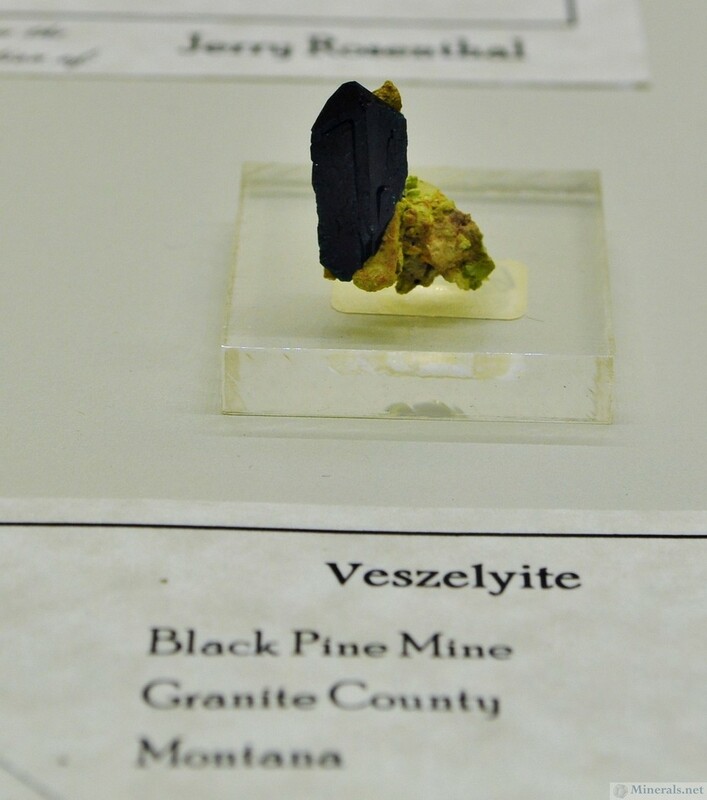 Thanks to finding a few honest dealers I was able to compile a collection of over 800 specimens of which a fraction are presented here. For years my collection was "housed" in cardboard flats and boxes. With the expansion of my plumbing business I was able to build a custom walk in display room to show my mineral and sphere collection. 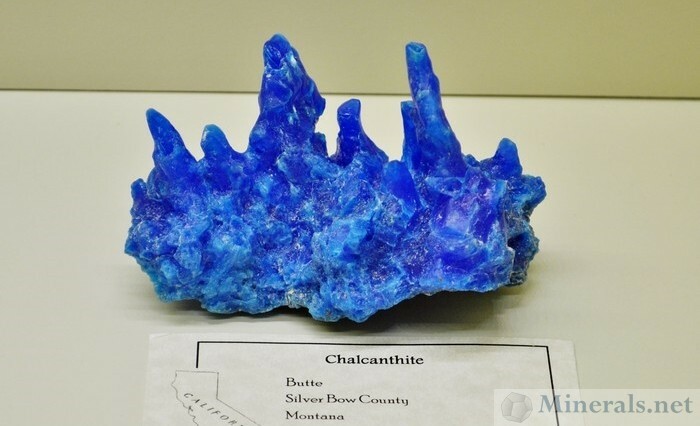 The beauty of the minerals is why I collect but I should also mention that I am color blind so don't be surprised if I ask you what color my minerals are. 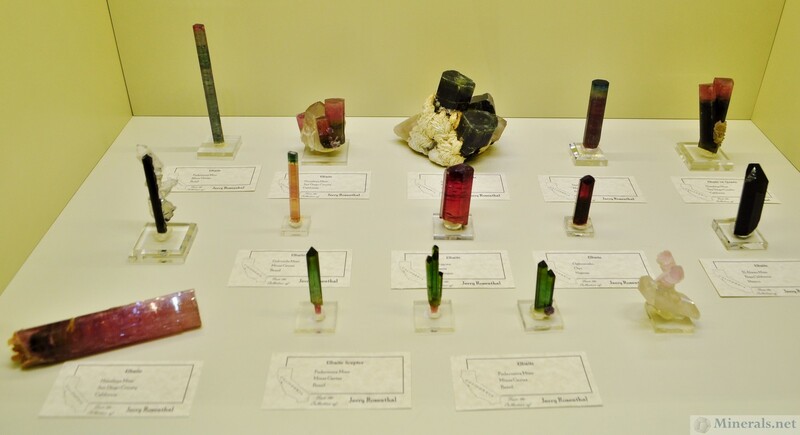 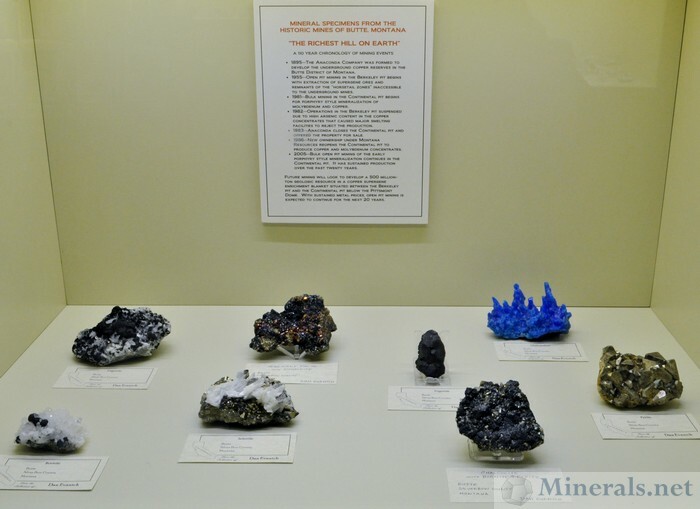 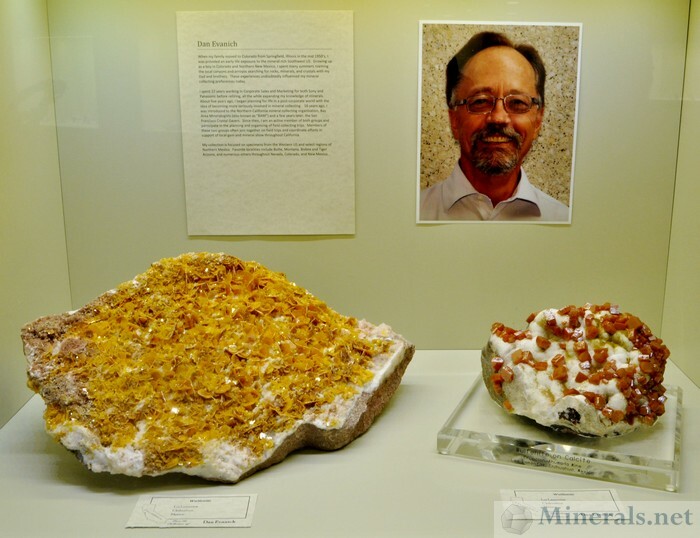 Pictured below are all of Jerry's public showcases, as well as some individual minerals from within those cases. 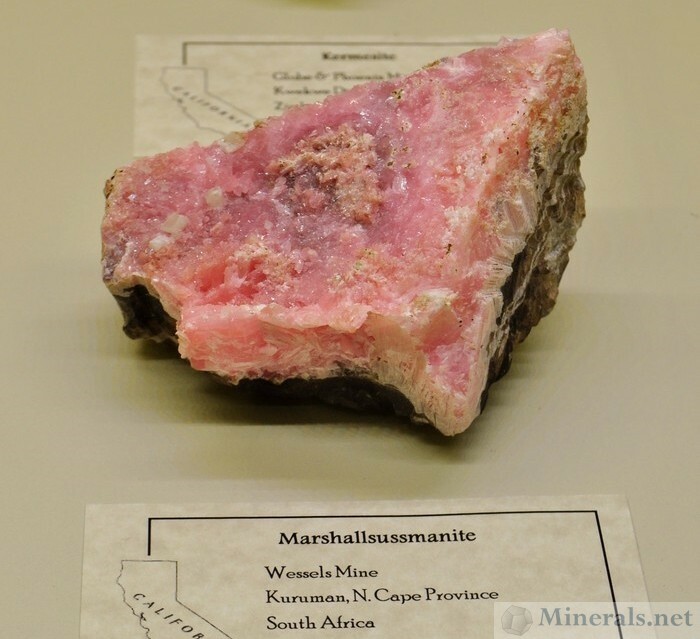 New Mineral Species Recently Named "Marshalsussmanite"
I've been a collector ever since I was able to pick up with my hands. I've collected everything from stamps and coins to bottle caps. 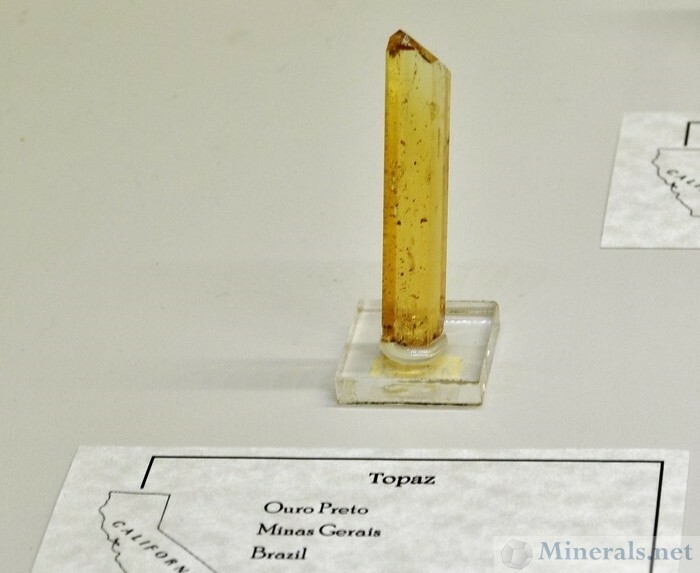 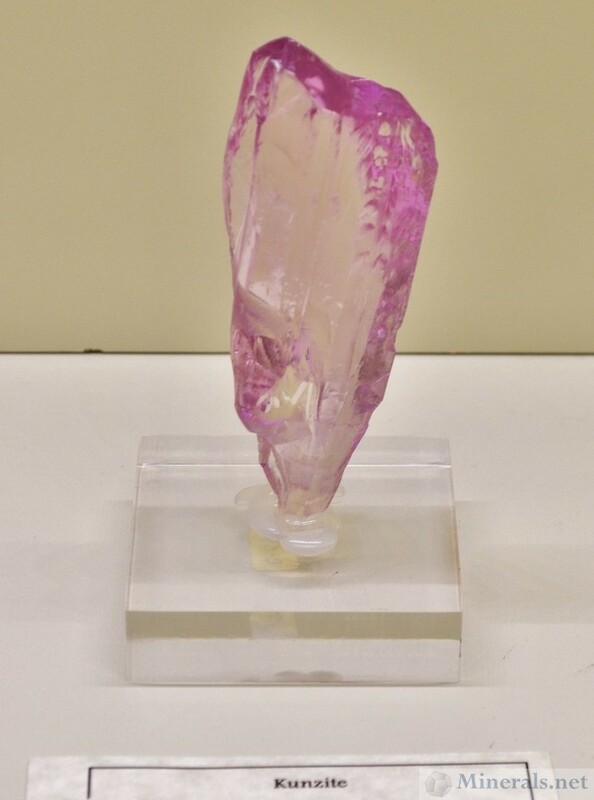 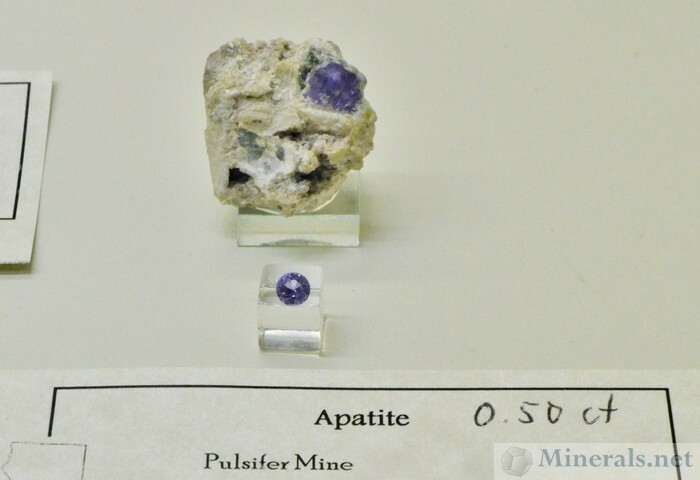 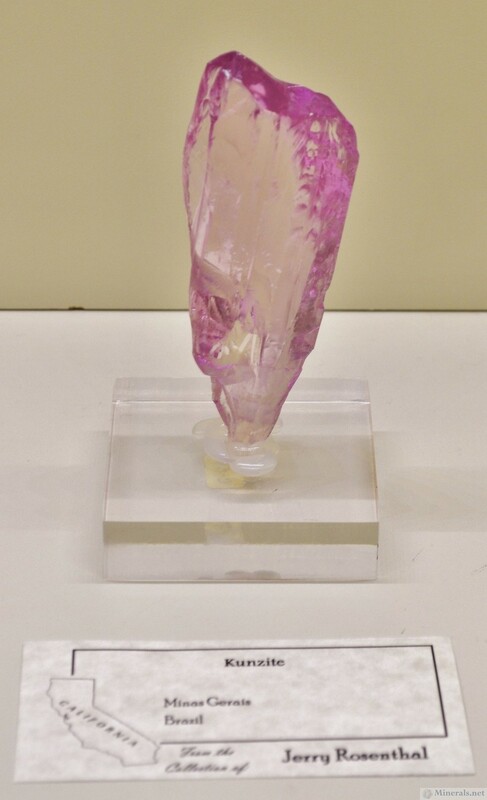 Minerals and rare gemstones became my passion for several reasons: their natural beauty, the fact that I could never learn everything about the hobby and the adventures involved in collecting these beauties in the field. 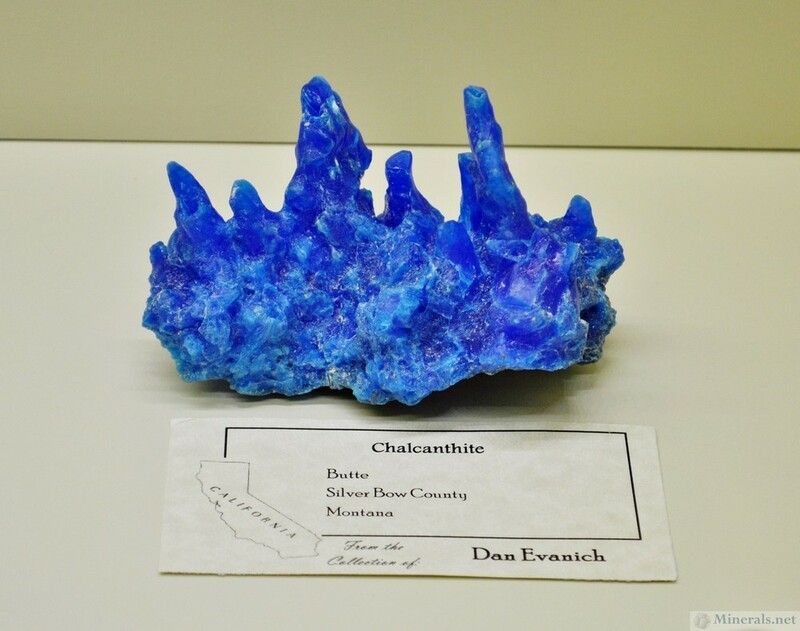 I received my BS degree in Earth Sciences from the University of California, Santa Cruz in 1994, seven years after finishing my course work (it is a long story!). 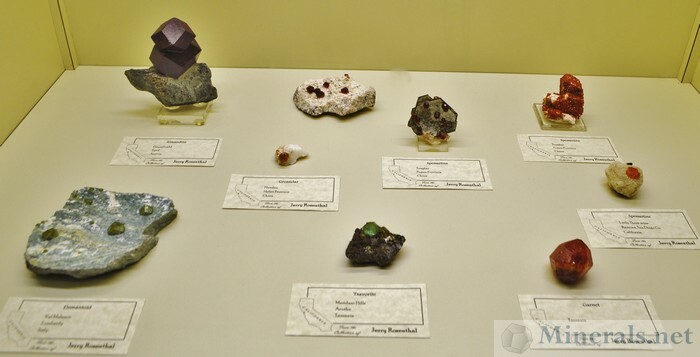 I started Earth's Treasures in 1985 as a part time business while I worked managing a small business for one of my mineral collecting partners. In March 2006, I left that world for good and became a full time mineral and rare gemstone dealers and have never been so happy! 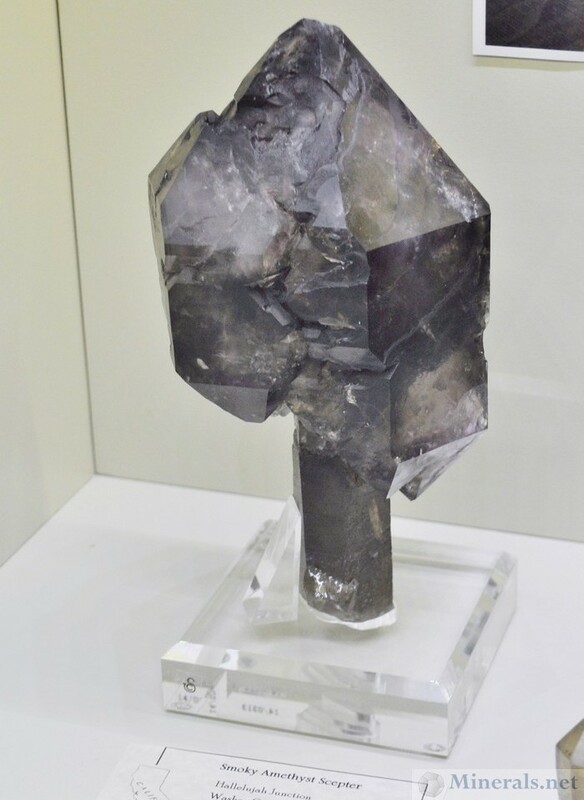 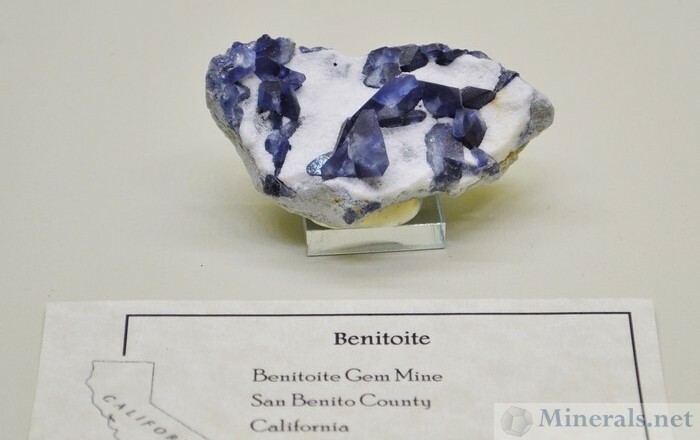 Personally, I collect "rough and cut" suites of rare gem minerals, but my passion will always be for Benitoite, and I proudly flaunt my status as a poster boy for the Benitoite Mine Run sales that John and Steven did a few years ago, my 5.96 carat flawless cut Benitoite is indeed the "Jewel" of my collection. 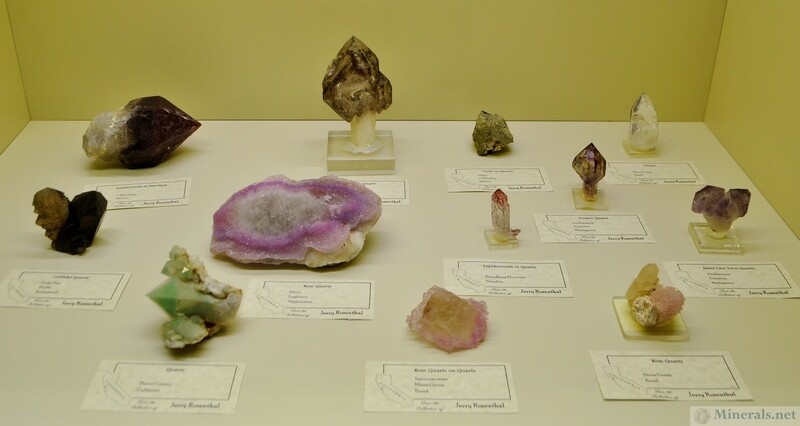 Pictured below are all of Rick's public showcases, as well as some individual minerals from within those cases. 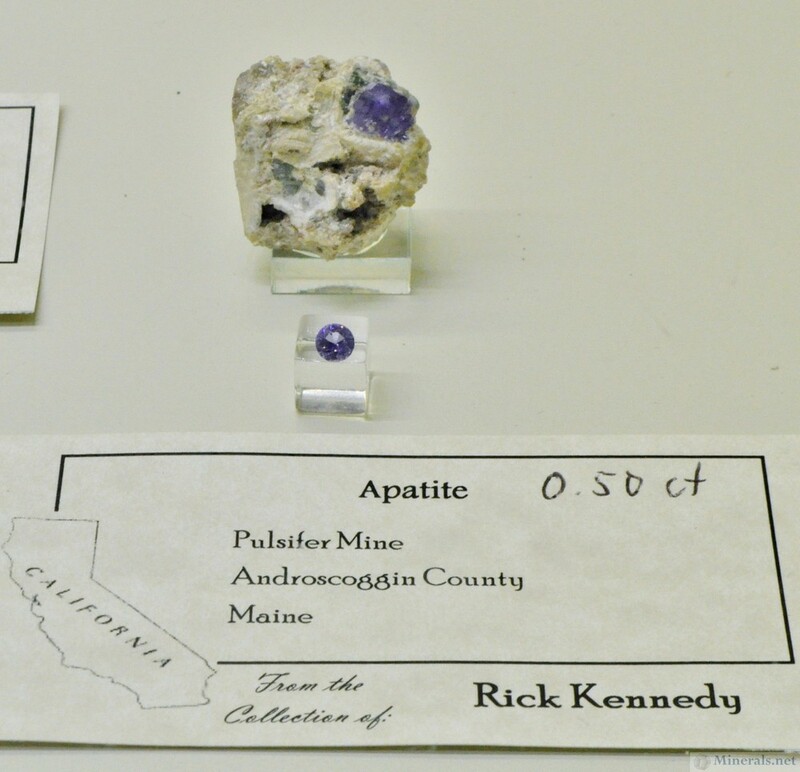 Minerals from the Western States from Rick Kennedy; Large Blue Fluorite in Center. 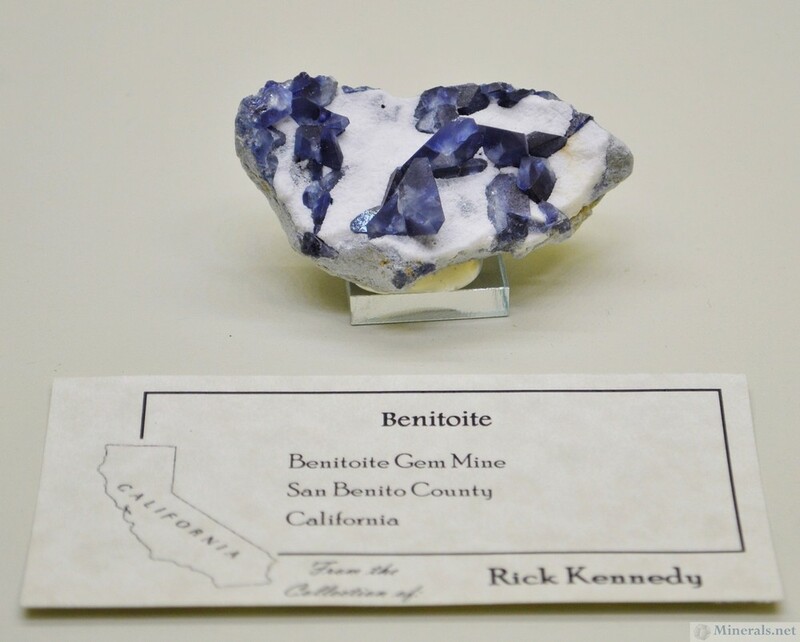 Minerals from the California Blue Mine in San Bernardino Co. 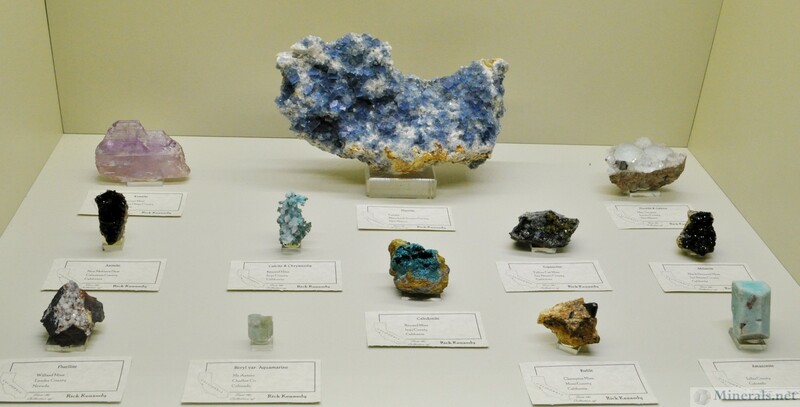 When my family moved to Colorado from Springfield, Illinois in the mid 1950's, I was provided an early life exposure to the mineral rich Southwest US. Growing up as a boy in Colorado and Northern New Mexico, I spent many summers roaming the local canyons and arroyos searching for rocks, minerals, and crystals with my Dad and brothers. 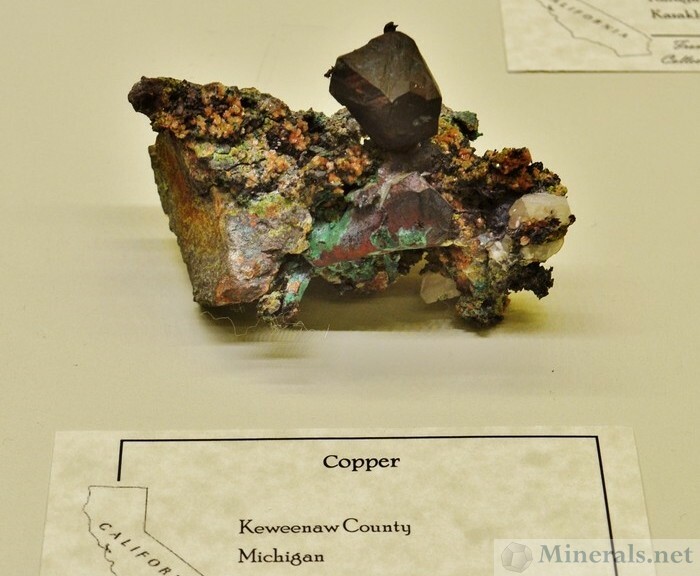 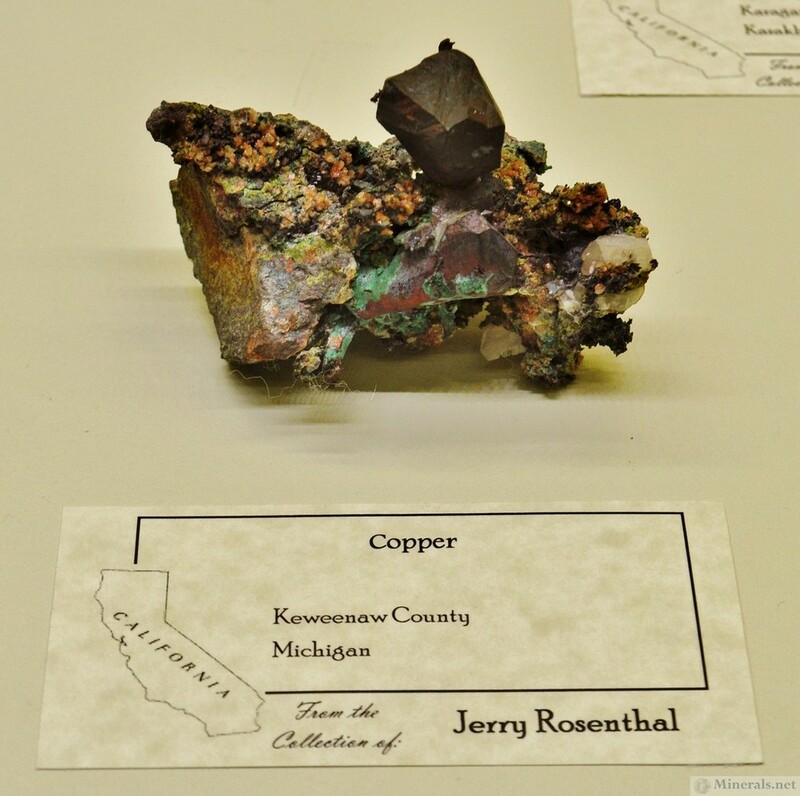 These experiences undoubtedly influenced my mineral collecting preferences today. 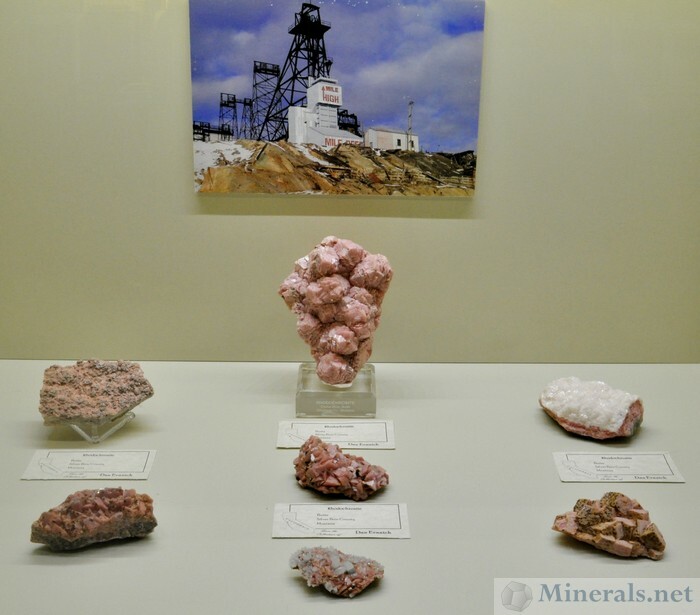 I spent 22 years working in Corporate Sales and Marketing for both Sony and Panasonic before retiring, all the while expanding my knowledge of minerals. 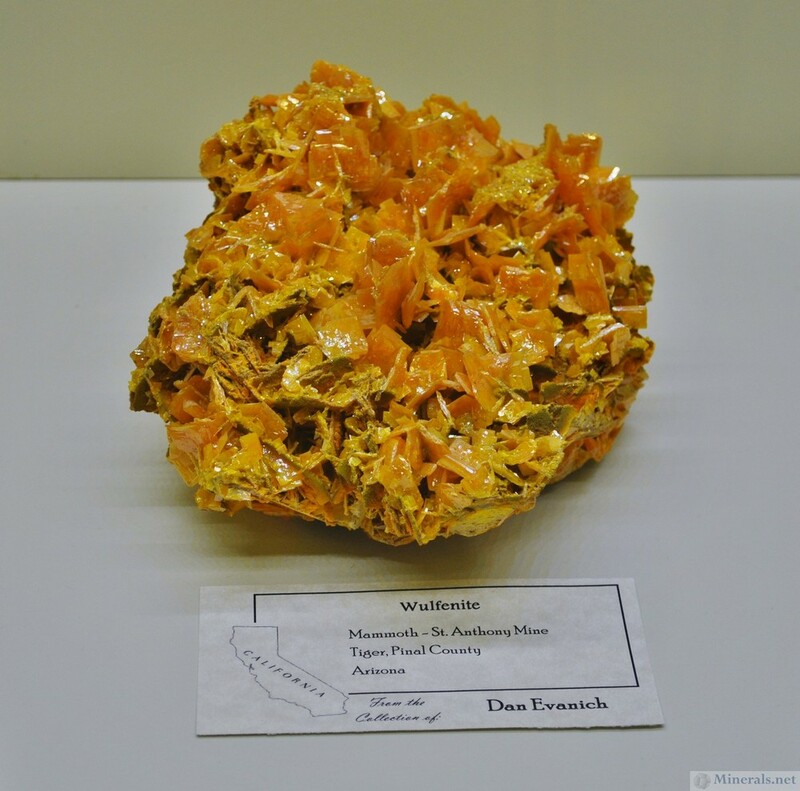 About five years ago, I began planning for life in a post-corporate world with the idea of becoming more seriously involved in mineral collecting. 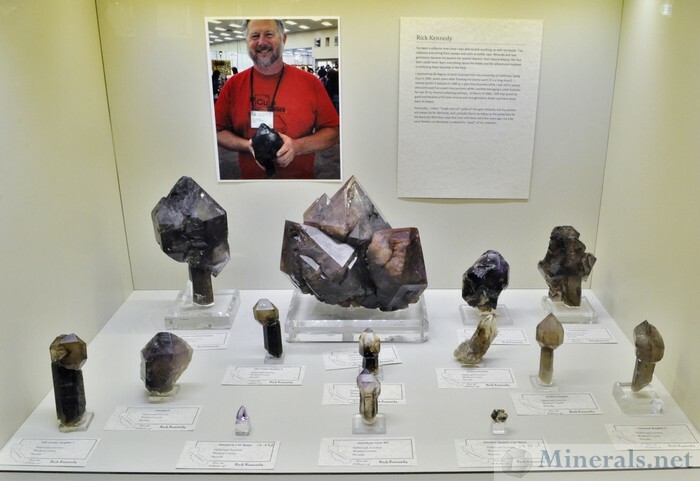 16 years ago, I was introduced to the Northern California mineral collecting organization, Bay Area Mineralogists (also known as "BAM") and a few years later, the San Francisco Crystal Gazers. 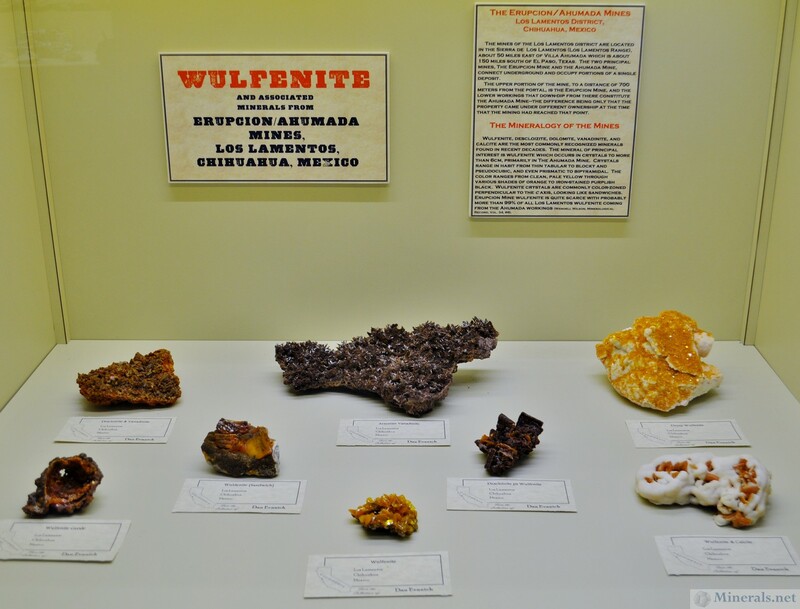 Since then, I am an active member of both groups and participate in the planning and organizing of field collecting trips. 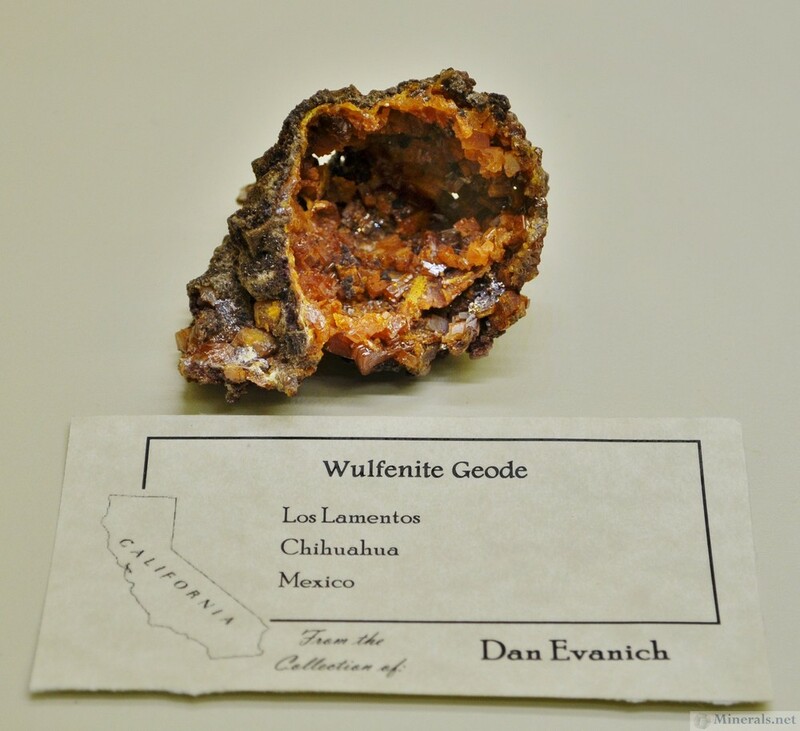 Members of these two groups often join together on field trips and coordinate efforts in support of local gem and mineral show throughout California. 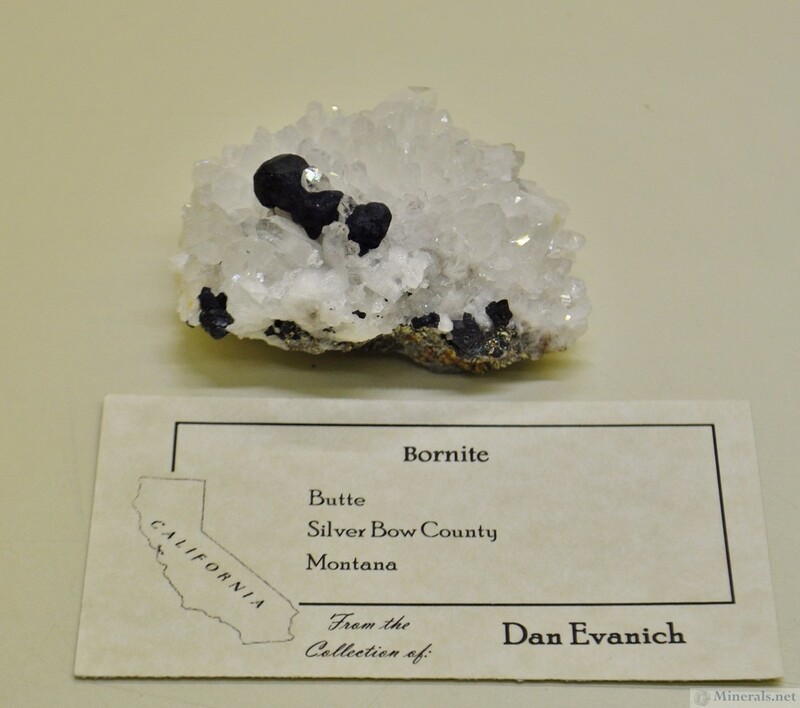 My collection is focused on specimens from the Western US and select regions of Northern Mexico. 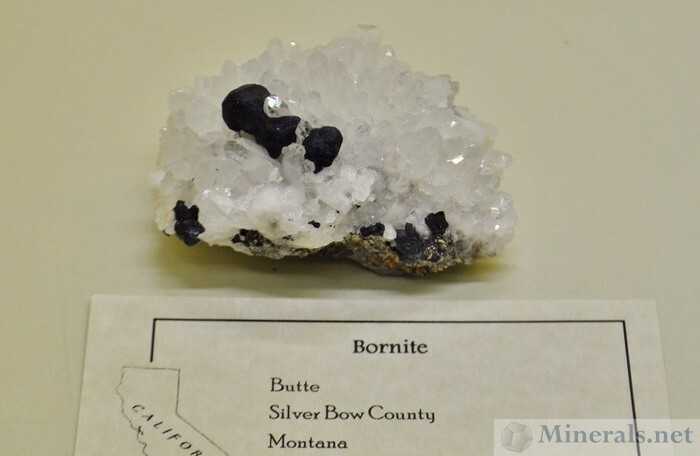 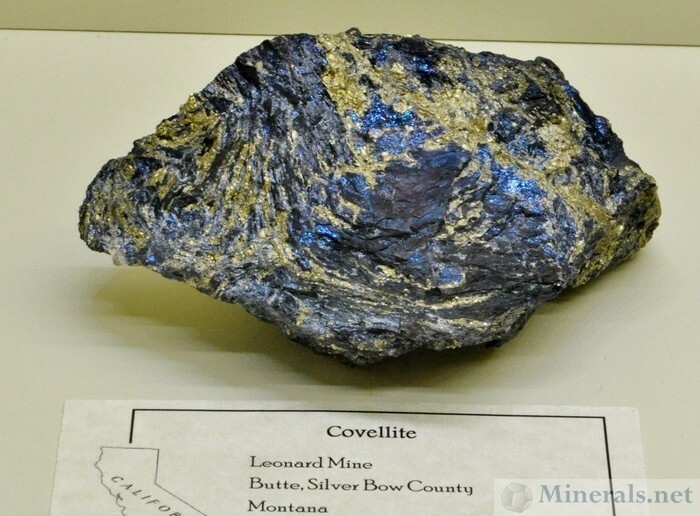 Favorite localities include Butte, Montana, Bisbee and Tiger, Arizona, and numerous others throughout Nevada, Colorado, and New Mexico. Pictured below are all of Dan's public showcases, as well as some individual minerals from within those cases.